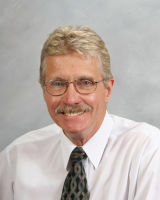 Bob will prepare a personalized marketing plan for you containing all the activities intended to market your property. In addition, you will always know what action is being taken, as Bob will provide you with continuous progress updates and feedback. ROYAL LePAGE Advance Realty will aggressively promote your property through various marketing techniques including property boards, advertising publications, the MLS® library and the Internet. To learn more about our marketing techniques and how Bob will sell your home, contact Bob or call anytime. "Very good, amiable. Good job." "We had Bob as our first REALTOR® and chose to use him again because of his easy going - pleasant personality. Bob has always acted more like a friend versus a REALTOR®. Very impressed with his skills!"